Organisations focused on enhancing service levels, decreasing costs and developing new business models and markets desire a good base of data, as the information that defines and explains fundamental facets of business, like customers, products, providers and places, is closely connected to those objectives. Regardless of a organisation’s key business transformation goals, success depends directly on the point to which this enterprise information is known, consistent, accurate and reliable. At the moment, however, few businesses have master data management (MDM) procedures mature enough to utilize this information to decrease costs and boost earnings. The most critical challenges facing IT managers and company executives involved with MDM aren’t technological, but demand, as an instance, implementing successful governance models and creating appropriate abilities and functions. These will also be the most essential success factors. Gartner analysts will explore these tendencies at the Gartner Master Data Management Summit 2017, to be held from 7 to 8 February at Barcelona. Boost service levels. Organisations often will have to boost client satisfaction and lock-in, and add value to relationships with both external and internal parties outside the goods they provide. MDM will help by improving the accuracy and efficacy of service delivery procedures. Optimise expenses and boost efficiencies. MDM helps businesses reduce costs by letting them decrease waste, prevent rash or out-of-place marketing and client service tasks, and boost staff productivity. It assists organisations combine business resource planning, guarantee efficient procurement and supply chain procedures, and enhance billing and invoicing. Innovate concerning business models and markets. Many businesses aim to change themselves to be able to capitalise on new market opportunities. They’re focusing on fresh approaches to business procedures, which need them to reorganise having a concentration on regulating and exploiting crucial data resources, such as master information. Hyperlink MDM into”large data” initiatives. Gartner forecasts that, by 2018, 20 percent of businesses will endure, and govern, identities and descriptive information in”large data” sources. Organisations which do not can fail to realise the complete business value of large information, a shortcoming which may damage their reputation and competitive advantage. 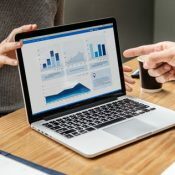 To enhance its worth, MDM has to be connected to organisations’ efforts to better their analytics and business intelligence (BI) capabilities, which, based on Gartner Executive Programs’ most up-to-date poll, are CIOs’ leading tech priorities in 2013. MDM will help IT and business executives and project leaders derive value from their BI and analytics investments by giving a good, consistent and well-governed information base. Possessing powerful MDM abilities also decreases the danger of attempting to regulate data resources which are from their corporation’s immediate control, like the ones arising from using the cloud and applications for a service.